"And I will bring the blind by the way that they knew not; I will lead them to paths that they have not known: I will make darkness light before them, and crooked things straight. These things will I do unto them, and not forsake them." the Lord is leading us. that He'll lead me in the way I should go. it's part of my path and my growth. and then you read it and spread the word about it to those you know. Having read her first book, I was very excited to dig in to this one. reading a book, so I didn't read it as quickly as I liked. 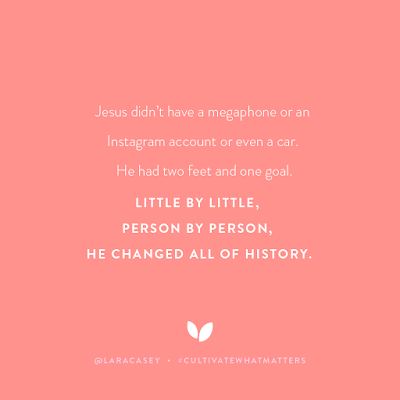 BUT little by little progress is still progress. I finally finished it a week ago! like sitting down with Lara and having a conversation. Her words of wisdom have blessed my life. the words in this book. 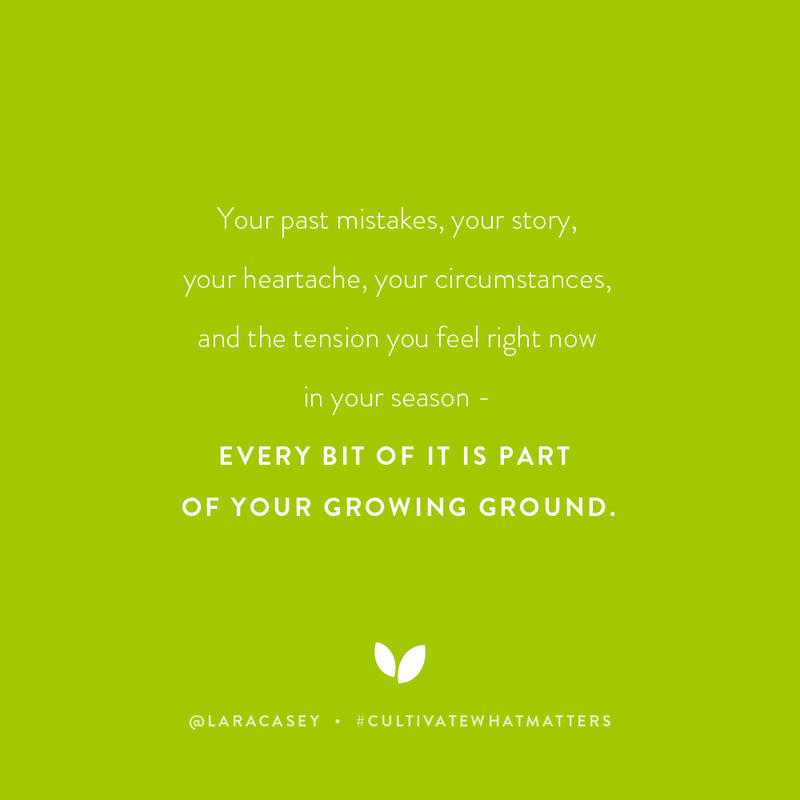 One of my favorite chapters was about embracing our season of life. "Maybe you're in a season of transition, grief, conflict, illness, unanswered prayers, new challenges, or just trying to get by. Maybe you can't imagine how this particular season could be a blessing in disguise. I have a not-so-secret secret to share with you. Do you remember where seeds begin to sprout? In the dirt. We dismiss the dirt and the mess as bad, trying to keep it off our hands and out of our homes. But dirt hods a certain magic, cradling new life. 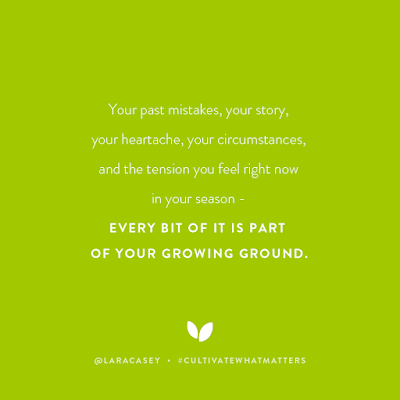 Your past mistakes, your heartache, your circumstances, and the tension you feel right now in your season--every bit of it is part of your growing ground" (pg. 49). help me learn and grow. Through the Power of Words"
meaning and he relates his experiences. 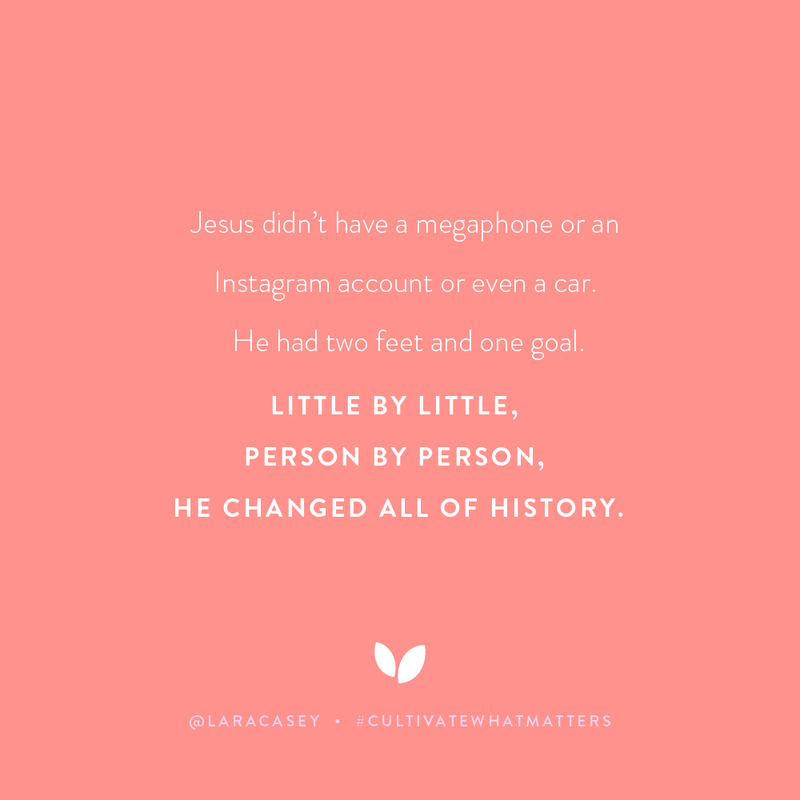 One of the words he breaks down is Humility. specifically rich, dark, organic soil. it transforms into something far greater. The acorn becomes the oak tree. It all Starts with the nurturing quality of the soil--humus." we may feel like we are being broken down. And in a way we are. can have fertile ground to grow in. It points us back to our faith in Jesus Christ. and become what He created us to be! and in turn helped me to learn and grow. in my wonderful beautiful life. that He was hearing my prayers. asked for with an amazing husband and daughter. Also, check out this quote from the book and this song. The Lord loves us each individually! 1. Trust God's plan for my life. It's always better than I could imagine. 2. I get to cultivate the JOY, not wait for it to happen. 4. I get to nourish myself so I can have what I need to help others. Summer is here and I'm really excited! share more amazingness at the end. What have you learned this spring?